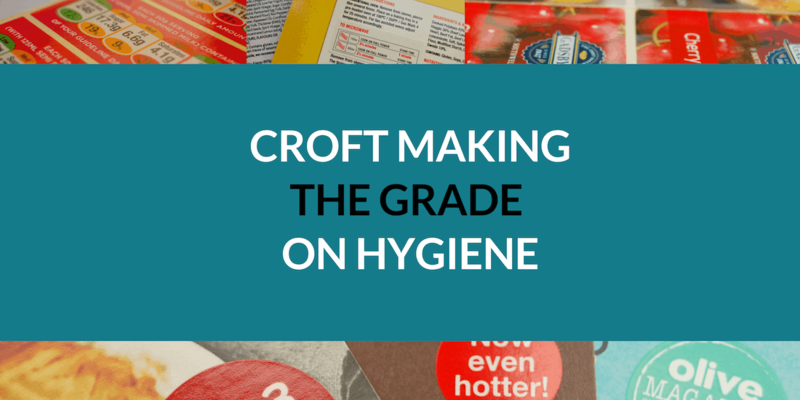 Croft Printing has again made the grade by being awarded BRC/IOP High Hygiene Grade AA accreditation. Following a complete upgrade of our Ruddington manufacturing premises, near Nottingham, during 2017, the site was audited for BRC/IOP accreditation at the end of the year and given BRC/IOP High Hygiene Grade ‘A’ accreditation across all areas. As part of our ongoing commitment to improve our business and meet our customers’ needs, we are delighted to announce we have now been upgraded to High Hygiene Grade AA. This brings our label manufacturing, label application and packaging rework sections up to, and even beyond, the same High Hygiene standards which are required of many of our customers. We believe this makes us an even more reliable and dependable supplier, committed to achieving the very highest standards.